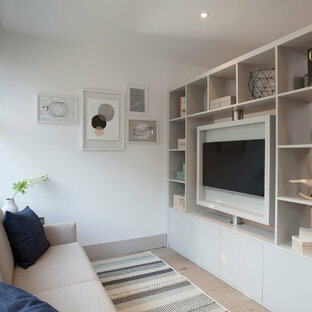 Scandinavian living room in London with a wall mounted tv, light hardwood flooring, white walls and a wood burning stove. Heta Scanline 800. @Orion Heating - Woodburning Stoves and Gas fires in Essex. Exclusive fireplace showroom for top European brands. The standard model with a large ashpan and integrated tool set. 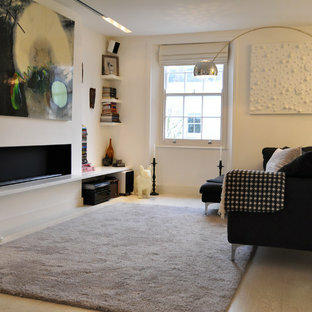 Scandi living room in London. Inspiration for a medium sized scandi living room in London with white walls, a ribbon fireplace and light hardwood flooring. 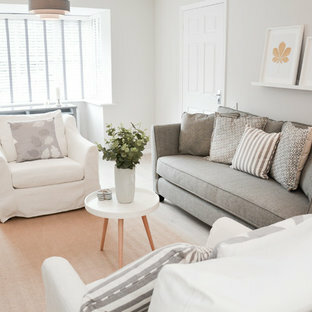 Photo of a scandinavian living room in Hampshire with white walls, light hardwood flooring, a freestanding tv and beige floors. 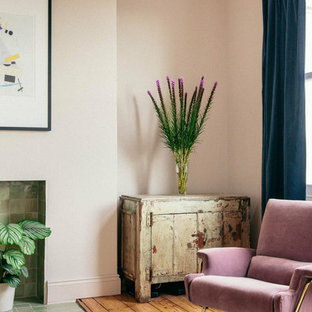 Scandi living room in London with pink walls and medium hardwood flooring. 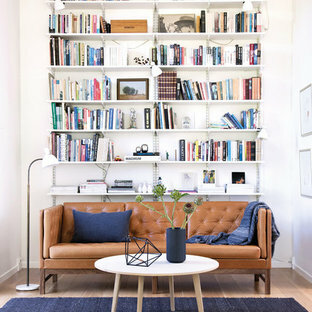 Photo of a large scandinavian open plan living room in Saint Petersburg with a reading nook, white walls, light hardwood flooring and grey floors. 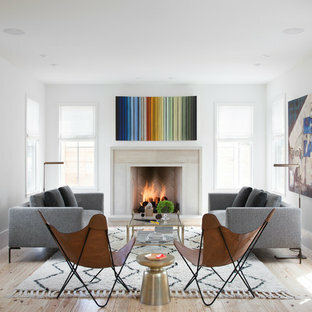 Photo of a scandi formal open plan living room in Austin with no tv, white walls, light hardwood flooring, a standard fireplace and a stone fireplace surround. Scandinavian living room in Melbourne with white walls and medium hardwood flooring. Design ideas for a scandinavian open plan living room in Newcastle - Maitland with white walls, light hardwood flooring and no fireplace. 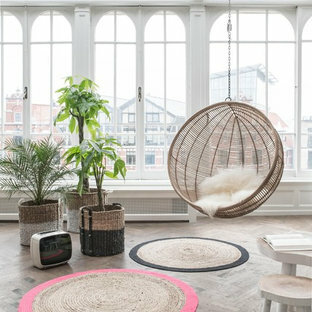 Inspiration for a medium sized scandi enclosed living room in Copenhagen with a reading nook, white walls, light hardwood flooring and no tv. 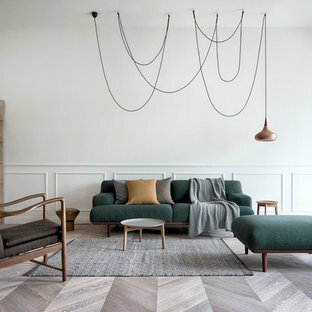 Inspiration for a small scandinavian living room in Paris with light hardwood flooring and beige floors. 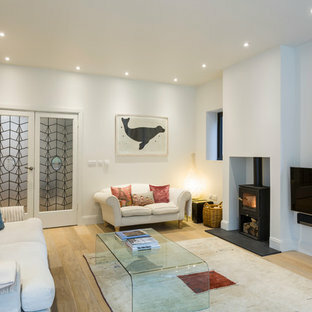 Inspiration for a medium sized scandi open plan living room in Sydney with white walls, a standard fireplace and a freestanding tv. White draperies keep with the color scheme of this contemporary living room. 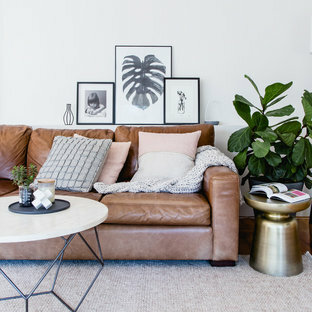 Design ideas for a scandi living room in Los Angeles with white walls and light hardwood flooring. Inspiration for a small scandinavian open plan living room in Seattle with white walls, light hardwood flooring, a two-sided fireplace, a stone fireplace surround and beige floors. We build our new furniture range, introducing new, exclusive designs. The new range is strongly influenced by Nordic design, with a modern touch keeping it clean, light and simple. 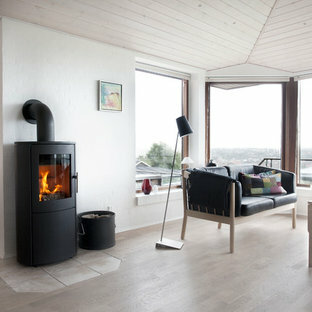 Medium sized scandi formal open plan living room in Los Angeles with light hardwood flooring, a standard fireplace, no tv, white walls, brown floors and a concrete fireplace surround. Design ideas for a small scandi formal enclosed living room in Moscow with blue walls, light hardwood flooring and no fireplace.